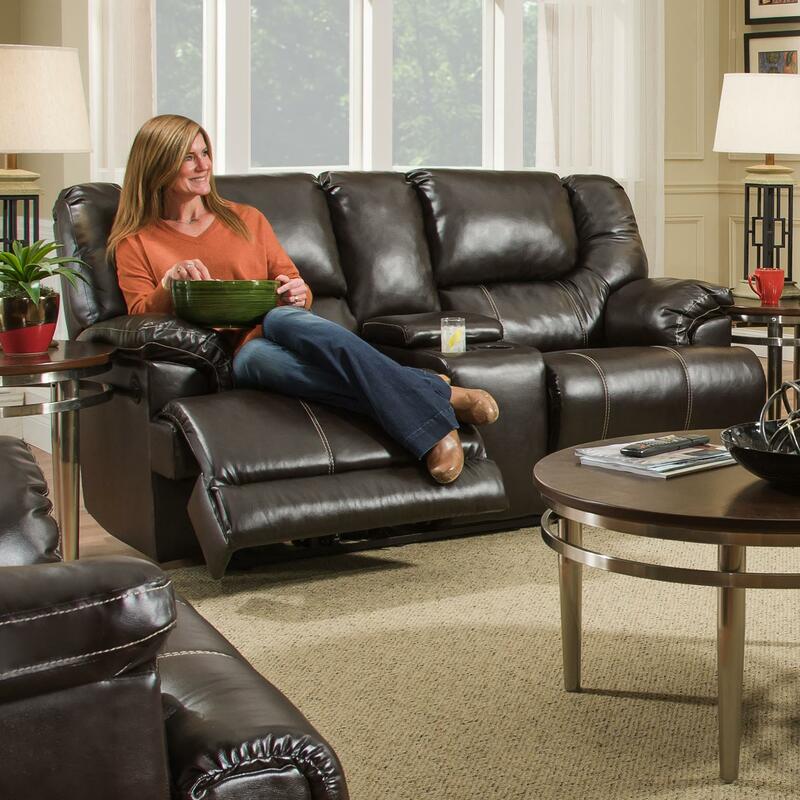 Sit back and relax from the comfort of this console reclining loveseat. This motion loveseat features a storage console and cupholders for additional storage and function. The plush pillow arms on either side and padded seat backs will wrap you in comfort. The 50451 Casual Motion Console Loveseat by United Furniture Industries at Miskelly Furniture in the Jackson, Pearl, Madison, Ridgeland, Flowood Mississippi area. Product availability may vary. Contact us for the most current availability on this product. Seat Two reclining fully padded chaise seats.